There are calls for a shift in the UK's government's mindset to deal with increasing knife crime in London. In a speech last night, Home Secretary Sajid Javid also called the recent stabbings a 'national emergency'. Last year, there were nearly 40,000 offences involving a knife or sharp instrument - that's a rise of almost 15,000 since 2014, according a report published on parliament's website. But could deadly knife attacks be predicted before they happen? Well, that's the thought of a Detective Inspector John Massey, who found a link between the stabbing locations that happened in one year and the incidents that happened the following year. The research was carried out alongside University of Cambridge criminologists and the study found 67 of the killings had been in places where there had been at least one stabbing the previous year. On Euronews Good Morning Europe, we spoke to Christian Foley in London, who's a Spoken Word Educator working in schools and prisons. He wants to change the perception of 'excluded children'. He said that the problem of stabbings will grow and that the main factor linking them all is poverty. "Obviously, it's multi-faceted as there are so many factors, but all of those factors are united by one, which is poverty. 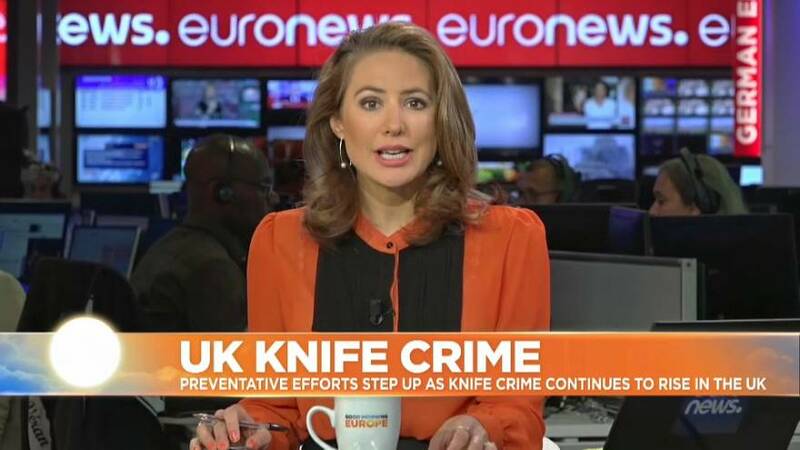 Knife crime does not happen in areas of affluence." Watch the interview by clicking on the player above.